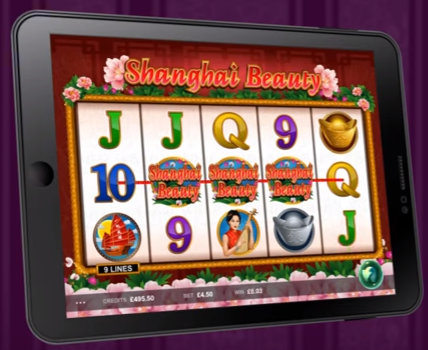 Five reasons why it’s better to play real money casino games on a tablet. In this technology-driven age, there’s no longer any need to visit a land-based casino. You can go with a group of friends for kicks, but if you’re just looking for the entertainment of a thrilling slot machine or table games experience, why travel? These games can be played on a desktop or laptop computer, or any internet-capable mobile device. If I took enough time, I could probably come up with a lot more reasons. But based on my own experience, these five came to mind immediately. In short, they include convenient portability, better visibility, heightened security, exclusive promotional offers, and access to everything else you’ve come to expect from your favorite internet gaming site. 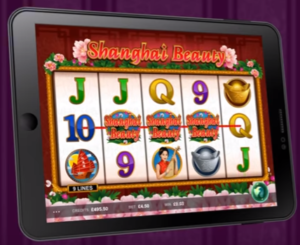 Tablet casino games are a lot easier to see and play than the smartphone variety. Most mobile phones have a screen size of between 4 and 5.5 inches. The resolution is great, but clumsy fingers can easily tap the wrong button. And if you happen to have poor eyesight like myself, they just aren’t as easy to see. Tablets, boasting screen sizes of 7-10 inches, definitely win in this category. Unlike smartphones, most people don’t have a dedicated network for their tablet devices. You could take your tablet on the road and use it at a free WiFi hot-spot, but they aren’t very secure. I would never recommend doing anything that involves monetary transactions over an insecure WiFi connection. Your home WiFi, on the other hand, should be secured. So long as you use a strong password, and don’t give it out to all of your neighbors, tablet gaming from home is much safer. When mobile gambling was just catching on, a lot of online casinos began promoting exclusive offers for smartphone and tablet users. These offers aren’t as prevalent today, but they do still exist. You can snag some nice extra bonuses and/or free spins if you keep your eyes out for them. When you play real money casino games on a tablet, you still get all the same great benefits of playing on a desktop or mobile device. You can use the same login, take advantage of the same promotions, and generate the same comp points that convert to real cash. You won’t have to download any software or apps, either, although it is usually an option.